Welcome to SCOTSS, representing the trading standards service in Scotland. The Society of Chief Officers of Trading Standards in Scotland (SCOTSS), is a Scottish Charitable Incorporated Organisation (SC047951). 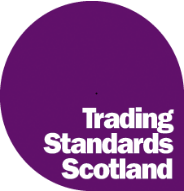 Our members are professional trading standards managers representing every Scottish local authority trading standards service. The Society liaises with local council colleagues across the UK, and engages with government and others around the operation of the consumer protection landscape, providing leadership and consistency to Scotland's 31 trading standards teams. We aim to educate, coordinate, and support. SCOTSS works with a wide range of government, regulatory, consumer, business, and third sector organisations, mixing operational and technical expertise with policy work, in order to ensure the effectiveness of consumer protection services in Scotland. Citizens Advice Scotland, along with its affiliated bureaux and national Consumer Helpline forms Scotland’s largest independent advice network, helping and empowering over 300,000 people solve their problems each year across Scotland. In the consumer landscape, CAS and SCOTSS also work closely with Citizens Advice in England and Wales, so that consumers right across the UK have good access to advice and advocacy. 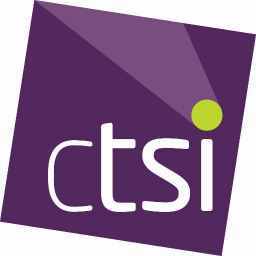 CTSI, The Chartered Trading Standards Institute is a professional membership association formed in 1881. It represents trading standards professionals working in the UK and overseas - in local authorities, the business and consumer sectors and in central government. It exists to promote and protect the success of a modern vibrant economy, and to safeguard the health, safety and wellbeing of citizens by enhancing the professionalism of its members. Trading Standards Scotland is a national team managed by COSLA (Convention of Scottish Local Authorities). They are funded directly by the Department for Business, Energy and Industrial Strategy, to provide a cross border service to combat scams, national consumer issues, and illegal moneylending, across Scotland. Fulfilling a similar role to the National Trading Standards in the rest of GB, Trading Standards Scotland also take a lead in gathering and analysing intelligence to allow it, and local authority services to target resources where they will be most effective. CMA, The Competiton and Markets Authority is a non-ministerial government department, that works to promote competition for the benefit of consumers, both within and outside the UK. CMA was created out of the Office of Fair Trading and the Competiton Commission in 2013, and its aim is to make markets work well for consumers, businesses and the economy. The CMA has a strong focus on competition and market issues, but also enforces consumer protection legislation to tackle practices and market conditions that make it difficult for consumers to exercise choice. Enter your postcode to find your nearest trading standards office location in Scotland. "David MacKenzie, Highland Council Trading Standards manager, said: “We have received complaints for a number of years and we have had a lot of success dealing with websites to bring them in line and change surcharges. “However, we can’t police the whole internet and we have been pushing for this to be accepted UK wide with the support of both governments, giving this initiative credibility across the UK. “We think that this new website will make an important contribution to ensure that internet shoppers are treated fairly on parcel delivery.ls. " +14/2/18SCOTSS publishes new fair trading guide for secondhand car dealers in Scotland. "Scottish local authority Trading Standards services have today (14th February) released new guidance for secondhand car dealers, aimed at ensuring a high level of understanding of consumer protection law by Scotland’s motor trade. The guidance, published by The Society of Chief Officers of Trading Standards in Scotland (SCOTSS) is intended to help second-hand car dealers comply with a number of important pieces of consumer protection law, such as the Consumer Protection from Unfair Trading Regulations 2008 and the Consumer Rights Act 2015. " SCOTSS response to CMA on care home fees after death. SCOTSS response to Crown Office on Codes of Practice when questioning suspects. Looking for advice on your consumer rights? Use the Consumer Helpline.